Bermuda and Abu Dhabi have been awarded the 2021 and 2022 World Triathlon Grand Finals respectively, it was announced today. 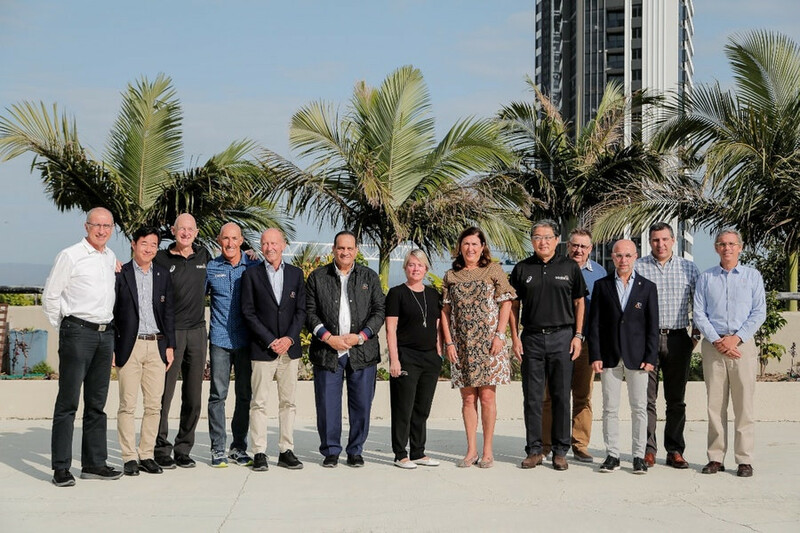 The decisions were made by the International Triathlon Union (ITU) Executive Board at its meeting in Gold Coast, which is hosting this year's Grand Final. The ITU also gave the 2020 Multisport Championships to Almere in The Netherlands. The Executive Board claimed the Organising Committees for the three competitions would "guarantee the level of excellence required for the pinnacle of ITU’s events". Bermuda bid for the Grand Final in three years' time after the island successfully staged a World Triathlon Series race in April of this year. Kevin Dallas, the chief executive of the Bermuda Tourism Authority, claimed when announcing the bid that the Grand Final would attract around 3,000 visitors to the island. The nation landing the hosting rights for the event will be welcomed by Flora Duffy, one of Bermuda's most famous athletes who is the two-time reigning World Triathlon Series champion. Abu Dhabi has become a regular host of World Triathlon Series events and will hold a competition on the circuit for the fifth consecutive year in 2019. The Grand Final host cities will also stage the ITU's annual Congress, which usually takes place in the days leading up to the race. This year’s event is scheduled to take place in Gold Coast in Australia, followed by editions at Lausanne in Switzerland and Edmonton in Canada in 2019 and 2020 respectively. The ITU claim the Grand Final creates an immediate economic impact by bringing in a significant number of international tourists to each host city, including more than 5,000 competitors, support teams, officials, family and friends. A review of the competition calendar for 2019 onwards was also discussed by the Executive Board, while good governance practices and the strategic plan for 2017-2020 were also on the agenda. "I am really satisfied of the intense work we have done, especially on two main aspects for our future as an organization: the cities willing to host one of our major events, and the development programmes and the way we work with the National Federations in order to continue to push our sport and bring it to the next level of participation and engagement," said ITU President and IOC member Mairsol Casado. "I feel really confident that with the work that we have been doing during last year, and the commitment from all the Board members and ITU staff, we will continue to push our organisation even further. "We do have more presence and impact now on both the Olympic and the Paralympic movement, our financial statements are on track, we still are a role model on good governance and we have our strategic plan in place and setting up the path for the next few years, so we can proudly say that 2018 has been an excellent season by all means for us." The ITU Congress is scheduled to be held tomorrow.